It pains me to say it because I like picking on the Rays as much as the next guy, but Tampa Bay came up with a pretty good idea recently. Well, it wasn’t their idea, people have been talking and writing about it for a while, but the Rays actually did it. Last weekend they started a reliever for matchup purposes. Specifically, they started Sergio Romo against the Angels. The thinking behind the move is pretty straightforward. The Angels stack righties at the top of their lineup — specifically Zack Cozart, Mike Trout, Justin Upton, Albert Pujols, and Andrelton Simmons in whatever order (usually that one) — so they sent out a righty specialist to navigate that difficult part of the lineup. And it worked! Romo struck out the side in order in the first Saturday, then threw 1.1 scoreless innings to start the game Sunday. There is another layer to this, however. After Romo struck out the three men he faced in the first inning Saturday, the Rays brought in left-hander and quasi-starter Ryan Yarbrough, who allowed one run in 6.1 innings. Because Romo retired the Cozart-Trout-Upton portion of the lineup in the first, Yarbrough was able to throw those 6.1 innings without facing the top of the lineup a third time. He faced 23 batters, but Cozart-Trout-Upton only twice. The plan didn’t work quite as well Sunday because the pitchers who followed Romo stunk. On Saturday though, it worked like a charm. Romo retired the top of the order in the first inning and the Rays got 6.1 innings and 92 pitches from Yarbrough without letting him face the Angels’ best hitters a third time. The Rays are a joke franchise (nice Corey Dickerson trade, guys), but I gotta say, the “start Romo” plan worked great Saturday. You know what’s coming next: Should the Yankees employ a similar strategy? They are facing the Angels and all their right-handed hitters this weekend, after all. Two things to consider about this. 1. The Yankees have a veteran rotation. On the R2C2 podcast the other day CC Sabathia said he would be pissed if he got bumped back to “relief” so a reliever could start and throw one inning. Not insignificant! Sabathia, Masahiro Tanaka, and Sonny Gray have all been around awhile and I don’t think they’d appreciate having their pregame routines altered. 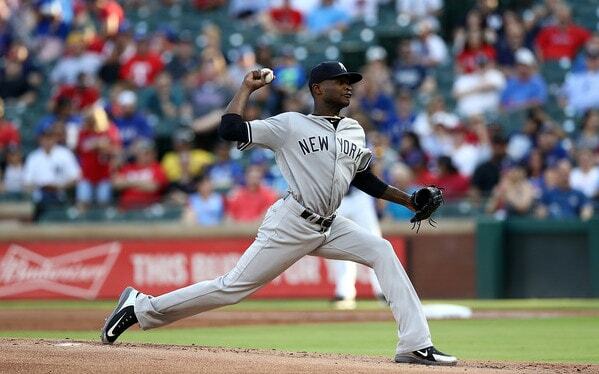 Luis Severino is so good that I don’t think you mess with him at all. Yarbrough is a 26-year-old rookie who is still in the “you’re going to work in whatever role we tell you” phase of his career, which is why he followed Romo out of the bullpen. It’s not like the Rays did this with Chris Archer, you know? The Yankees are sending Severino, Gray, and Tanaka to the mound against the Angels this weekend. I don’t think it’s fair to drop something like this on a veteran starter, and expect him to change his routine and show no ill-effects. Robertson is struggling a bit right now, but, generally speaking, those four dudes can be used at any time. Platoon matchups are a secondary concern. There’s not that one guy who has to face righties, so you might as well use him to start the game to ensure he faces righties and can impact the game. In a normal game, the Rays would’ve looked for a spot for Romo to face Cozart-Trout-Upton. They decided to go for it in the first. The Yankees don’t have that guy. Given the scheduled starting pitchers this weekend, I don’t think the Yankees should get cute and start a reliever against the Angels for matchup purposes a la Romo. There’s no sense in messing with Severino’s or Gray’s or Tanaka’s routine. Baseball players are creatures of habit and that goes double for starting pitchers. Those dudes set their routines down to the minute. Just let them be. … and either way that’s four right-handed hitters. Four very good to great right-handed hitters. German hasn’t pitched all that well the last two times out, so the Yankees could send a reliever (Holder?) out there for the first inning to face those dangerous hitters, then turn it over to German and hope he can go six innings without facing the top of the lineup a third time like Yarbrough. Know what the crazy thing is? The Yankees have already done this against the Astros this season. Inadvertently, but they’ve done it. A few weeks ago Jordan Montgomery started, threw a 1-2-3 first inning before having to be removed with his elbow injury, then German came in and fired four scoreless innings (on a limited pitch count) while facing Altuve and Correa just once. The Yankees could try to same thing Monday minus the injury. Have a reliever face the toughest batters at the top of the lineup, then turn things over to German. I have zero expectation of this actually happening, of course. Aaron Boone does seem to be open-minded and willing to try different things, but this feels a little too far out there even for him. If the Yankees were ever going to do it, Monday would be the day, when German is scheduled to face the Astros. Otherwise it’s not worth forcing the team’s veteran starters out of their comfort zone and disrupting their pregame routine.